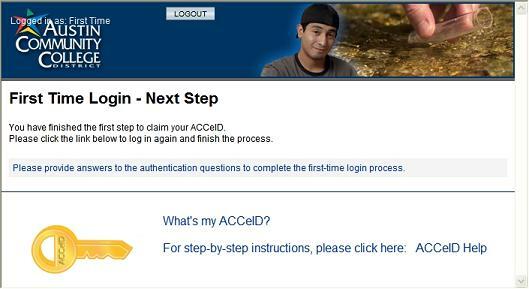 Obtian your ACCeID here - Your ACCeID is the first letter of your official first name and your 7-digit ACC ID number. 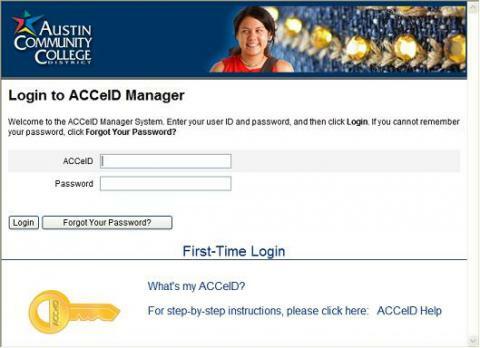 From the "ACCeID Manager" click on "First Time Login" - Very Important. Enter the last 4 digits of your SSN and your birth date. If you receive the following error message: "Authentication failed. 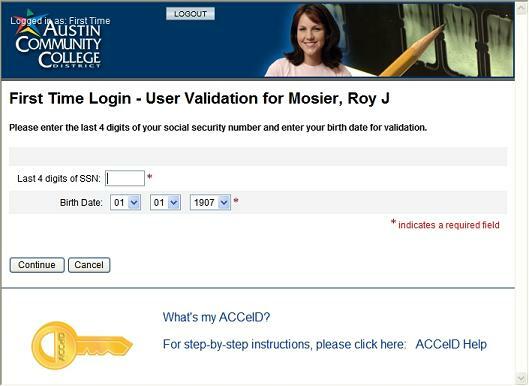 The SSN or birth date entered does not match the value on file with the user record. Please try again." Make sure you have entered the information correctly. If the problem persists then you must update your student or employee record. Choose a new password that fits the requirements outlined. Enter your new password in the boxes provided. 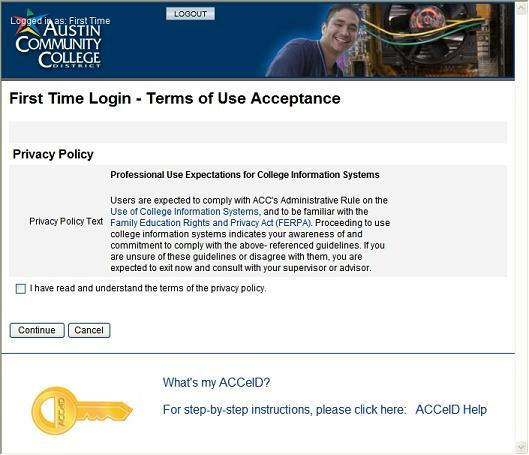 Click the text: "Please provide answers to the authenitcation questions to complete the first-time login process." You will be required to login and answer authentication questions. 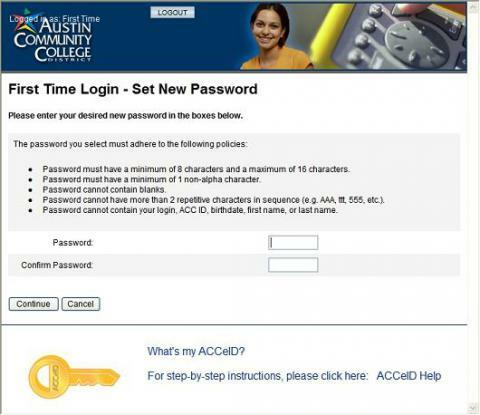 Enter your ACCeID and the password specified in Step 7. NOTE: At this point, the "Forgot Your Password?" button will not work. You must complete the account activation process before you can use this function. Provide answers to all four questions. 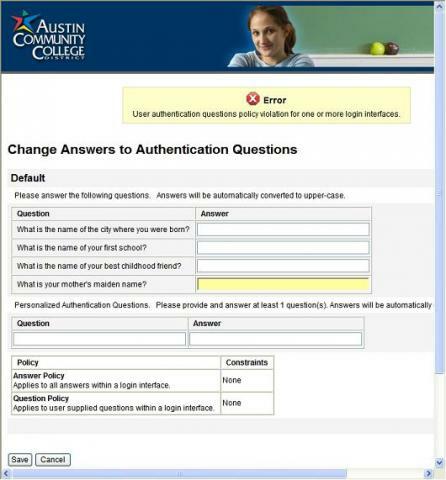 Provide one authentication question and answer. Click "Save" to complete the activation process or "Cancel" to abort and return to the main screen. Congratulations. 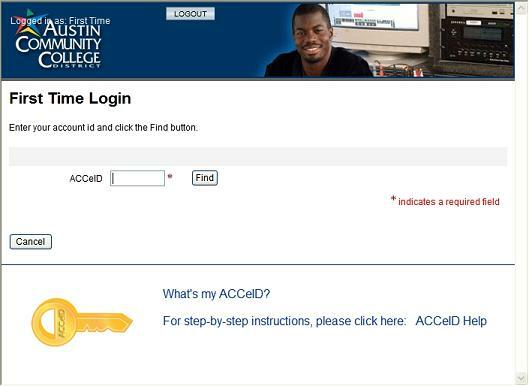 Your ACCeID and password may now be used to login to any ACC application where you see the ACCeID logo. 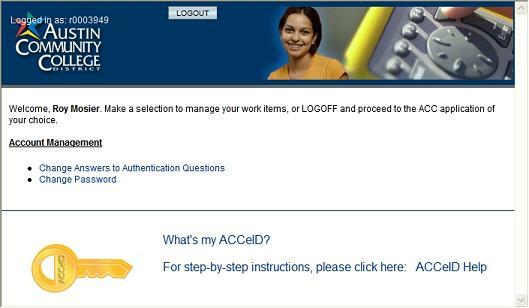 Use this video tutorial as a step-by-step guide in obtaining and activating your ACCeID.